Graphite with acrylic brush highlights on archival quality Stonehendge heavyweight Kraft colored paper. 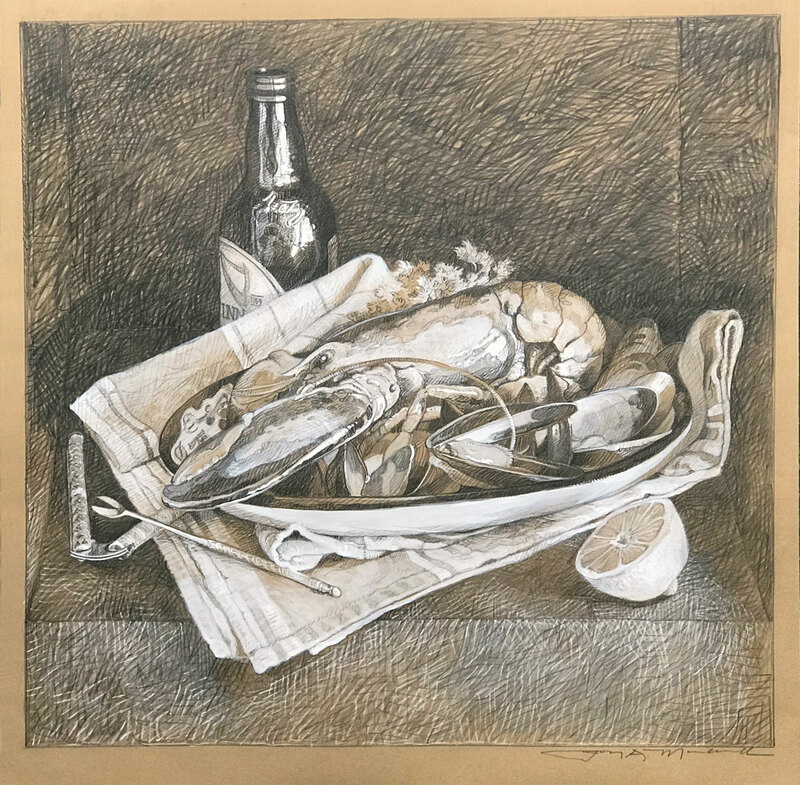 This is the compositional drawing for the finished oil painting - "lobster and Mussels" Shipped free (continental US) boxed with foamcore backing in an acetate envelope. - Contact the artist if custom framing is desired after purchase.